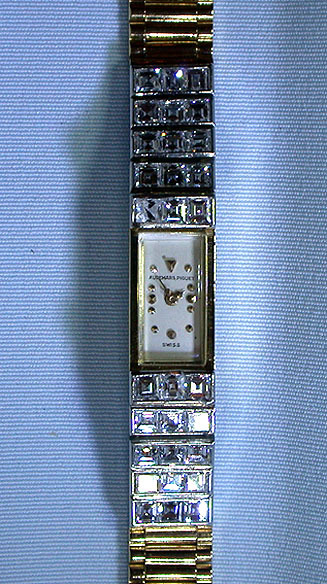 Fine Audemars Piguet 18K gold and diamond ladies vintage backwind wrist watch circa 1955. Silver dial with applied gold markers and gold hands. The case set with 30 baguettes, two with chips. Overall length 6.25 inches. 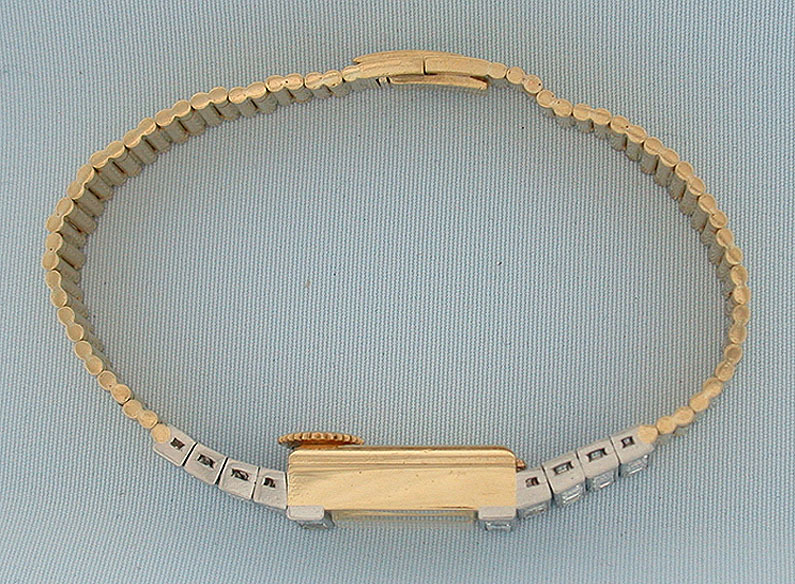 Calibre 2005, 17 jewel movement. Elegant.